We have always lived along the beautiful Indian River section of Florida's Intercoastal Waterway which is reflected in our kennel name - Riverside. 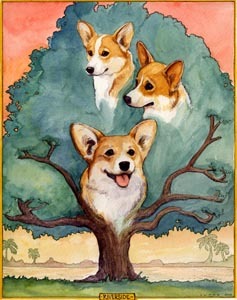 A small kennel, we breed, show, train and raise Pembroke Welsh Corgis. 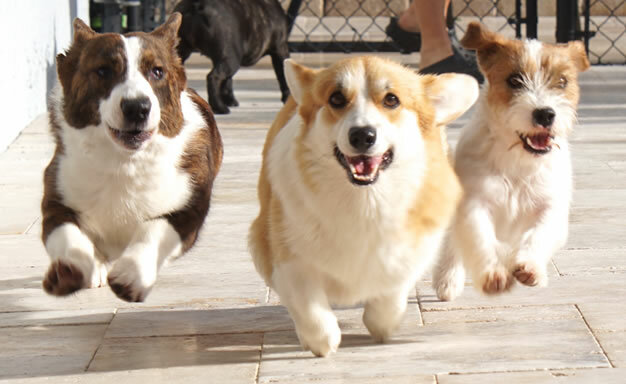 I'm an active charter member of the Sunshine PWCC and a member of The Welsh Corgi League. I am also an active member of the PWCCA, Lakeshore PWCC, and Treasure Coast Kennel Club. Our puppies and dogs are whelped and live in our house, where each Corgi, guest or resident is treated as a family member. We have several fenced yards, a pool for cooling off and exercise,a short walk to the ocean for running and wave jumping and flat stretches of grassy sided sidewalks for long, social, work outs. All of our dogs are tested for the bleeding disorder VWD (or clear by pedigree), eye clearances from CERF and normal hips though OFA certification. With the help of my husband John, son Josh, his friends and his Parsons Russell terrier (PRT) our dogs are kept busy and well socialized. Fun in the sun at Riverside! !